Is this the hearable you've been waiting for? There are plenty of smart devices that want to be your personal coach by providing actionable insights and while some like the Moov Now fitness tracker do a decent job, they still have a long way to go in giving genuinely helpful information. That's where Vi wants to be different. Not to be confused with the AI named Viv, Vi is essentially a self-learning 'hearable' that's also a personal trainer and has started its Kickstarter campaign which has already surpassed its $100,000 goal with 48 days to go. 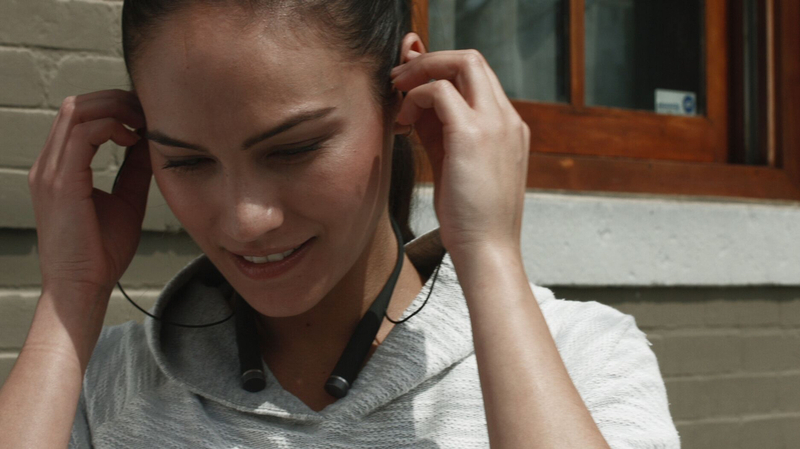 The hearable - which looks similar to the LG Tone - adapts to each person who uses the device and features real-time coaching based on a user's own physiology. Vi features aerospace-grade biosensors including heart rate and heart rate variability, motion, elevation and other environmental sensors. The hearable can interpret the data to deliver actionable insights such as weight loss optimization, exhaustion level management, injury prevention, running technique, stress levels, adaptive training plans and more. There's also a mobile app which you can connect to enabling you to review short and long term performances. Where other apps and trackers from Fitbit or Jawbone say you're doing a great job for the day, the Vi app can message you through voice or text, even when not training. Because you're going to need music with your workouts, LifeBEAM - the company behind Vi - also partnered with Harman Kardon to add on high-fidelity sound. Providing useful insight is the dream of fitness trackers and while Vi is still currently in beta stage, if it works accordingly, LifeBEAM could very well have a huge hit. The ability to be a hands-free, eyes-free experience where Vi can evolve to learn more about you over time is also certainly a big draw. Vi is available for pre-order right now for $199 ($249 retail) and is targeted to ship December later this year.